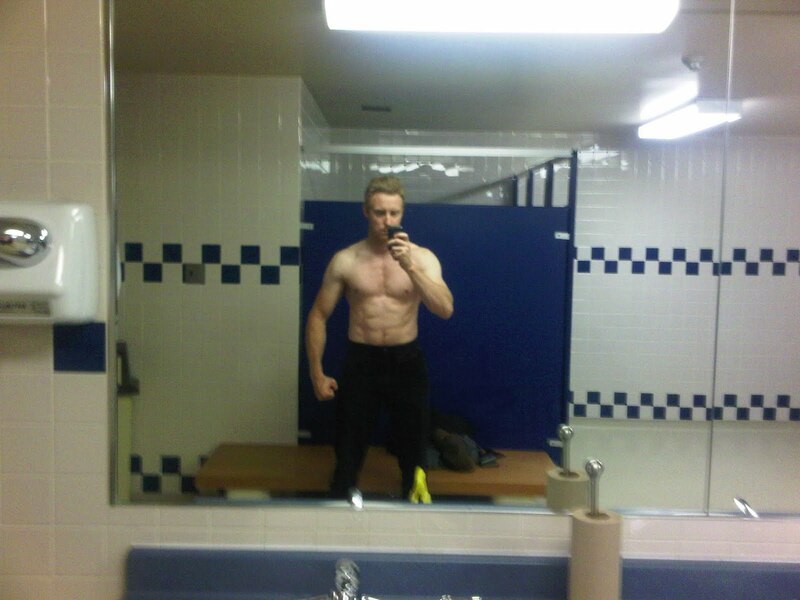 Rep to Failure - A MuscleHack Journey: THT 4.0 V1 Chest and Abs day done! Well, as I'm known to do, when in doubt about how far I've come or how many weeks are left - just add more! I'm adding two more weeks to this run of THT 4.0 Volume #1 cycle as I'm recovering from an ankle injury and have had basicly two weeks off and one in the middle of my cycle. This should be my fourth week, but not 100% sure on that so I'll just add two more at the end. Chest day is done! I analyzed my range of motion last week and found that I wasn't going deep enough on my benches. So, I decided to hit this week and bench as deep as I could go safely on the smith machine. End result: 200lbs x 6 for the opening set, 150lbs x 8 for the closing set. I don't mind backstepping on the weight cause it doesn't matter. All that matters is the growth. 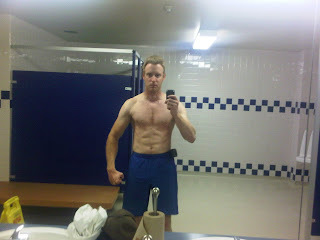 My abs were slaughtered with 4 sets of crunches @ 235lbs. Last set was "only" 12 reps. Man was I ever feeling it after those - I love that burn! Train hard and lift safe folks! PS - a couple of pics from Tuesday. Sorta blurry but you get the idea. Your second photo really works. Have you thought of a getting a professional photographer to take a couple? They do the lighting really good. Hey there! Thanks for the feedback, it's always appereciated. I've always relied on only myself for my workouts and supplementary activities, simply because I don't want to hassle anyone else with my scheduling or needs. I do workout with friends, indeed my best friend, from time to time and he does occasionally take pics. However, for the most part, it's just me. I actually do own a decent digital SLR camera, but I rarely remember to set it up, break out the tripod, etc etc. :) I'll try to remember to do so at the end of this cycle.